Personalise and print plastic badges yourself! With Badgy200, you can personalize and print several dozen or several hundred cards in one go. 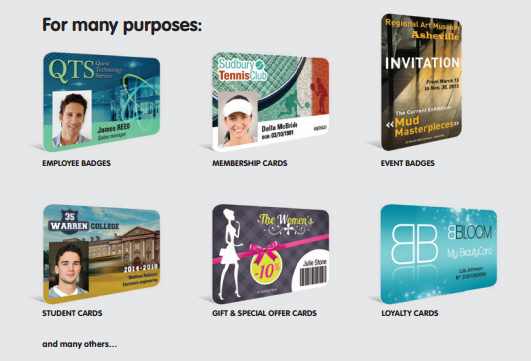 Give your organization a professional look by using custom badges printed on plastic cards. Holding your logos and pictures, these badges enhance your brand image and increase your professionalism. When printed on plastic cards, your badges are more resistant and tamper-proof, thus strengthening the security of your organization. Your badges are printed in high resolution on a quality plastic card. Moreover, the online template library offers professional-looking designs to choose from. Issue up to 95 badges per hour, single or multiple runs. Your employees, members or students instantly receive their card. 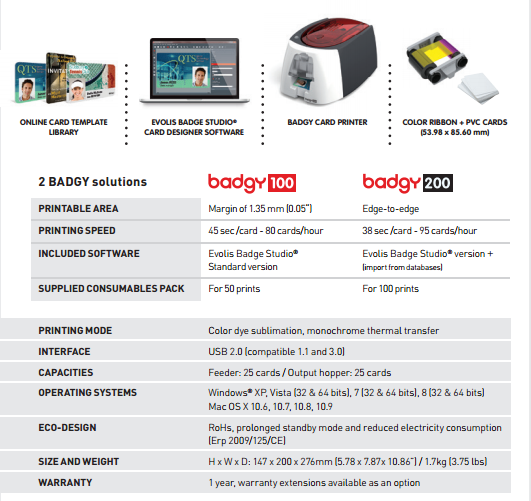 Badgy is a user-friendly solution: both the card designer software and the card printer (managed like a standard offi ce printer) are easy to use. 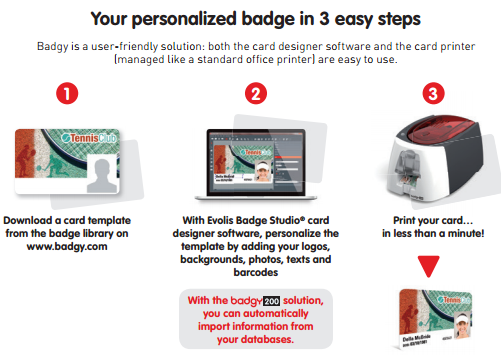 Your personalized badge in 3 easy steps. Click the button below to add the Badgy 200 Plastic ID Card Printer to your wish list.